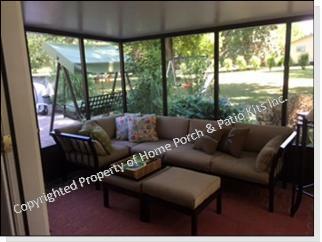 weatherproof barrier protecting you and your furniture from the elements. 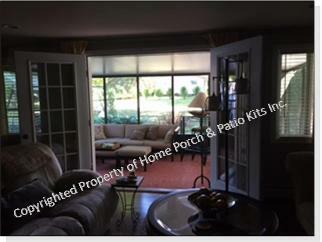 Screened rooms and deck enclosure kits are Home Porch & Patio Kits specialty! 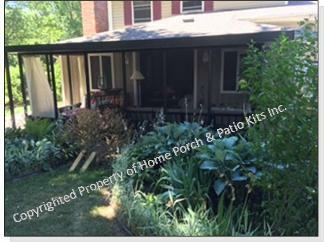 We have been helping North Americans for over 15 years create a quality indoor space outdoors. We combine our fully engineered load bearing EPS core roof panels with our extruded aluminum framing system to help you create the perfect three season space. Our roof panels utilize SmartLok technology. Designed for ease of installation, the snap-lock panels are made with a high density 1.5 lb expanded polystyrene core and come in 3", 4" and 6" thicknesses. Roof panel thickness is chosen based on the desired span away from the house wall and the local load requirements. A fan beam (see Insulated Roof Panel Details) can be installed in any of the insulated roof panels. 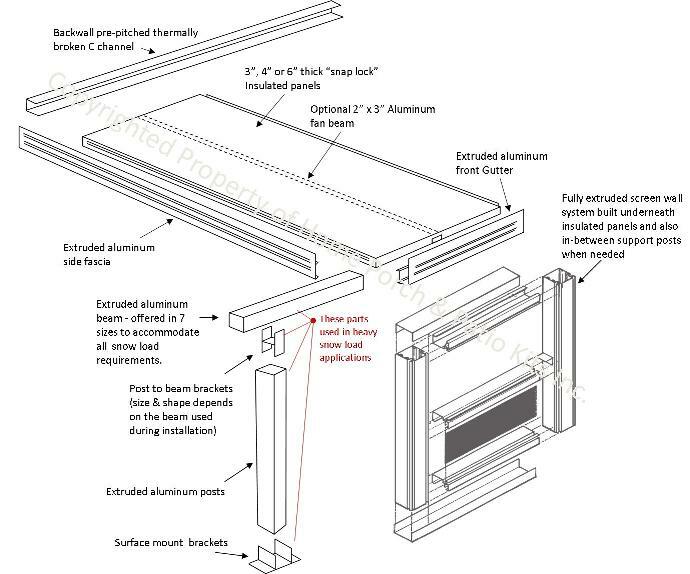 Our extruded aluminum framing integrates the spline groove, that locks your screening in place, right into the frame itself. 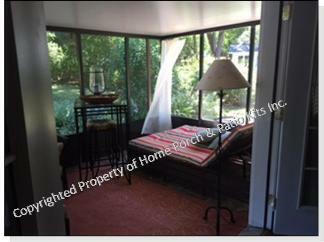 The framing is available in a 2" x 2" system or our stronger 2" x 3" sizing. 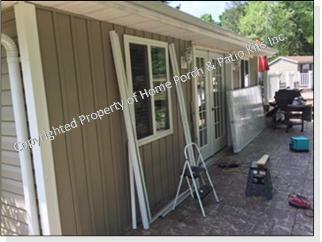 The factory painted aluminum framing (Lifetime Warranty) is available in 3 colors - - white, clay & bronze. As you design your screen enclosure we can help you decide on the type of screening that you might need. Door placements and the number of doors is also another area where you can make choices in your design. Lastly you can choose between a bottom kickplate or simply a horizontal chair rail which can be placed at any height you wish. 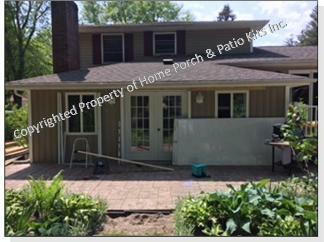 Together these aspects of our hard top screen rooms separate us from the competition and give you the perfect DIY application. 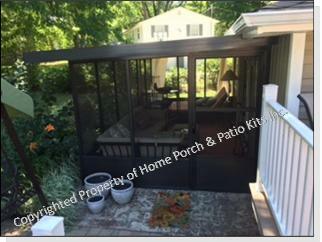 Virtually maintenance free, this is the ultimate three season screened enclosure for any deck or patio. High quality, durable and maintenance free - - all at a price that will not break the bank! Almost any size is possible! contact them to get your local building code requirements so that we can supply you with the 'correct' materials! 18+ years... You can be confident with the answers we give. Know who you are dealing with! Remember any size is possible! Simply follow the outline on our "No Obligation Quotation"
We will gladly quote you an engineered kit based on your specifications. The following table describes how far each panel thickness can go away from the wall until it needs to be supported by a set of beam & posts! 3" Thick | .024" Skin 16' 12'7" 11'7" 10'10" 10'1" 9'6" 8'7"
4" Thick | .024" Skin 19' 15'1" 13'8" 12'7" 11'8" 10'11" 9'9"
6" Thick | .024" Skin 22' 18'3" 16'5" 15' 14' 13'1" 11'9"
Finish off your new screen enclosure with a set of lip frame vinyl windows! Creates a protected indoor space with the turn of a clip! Versatile, attractive, strong and easy to operate. 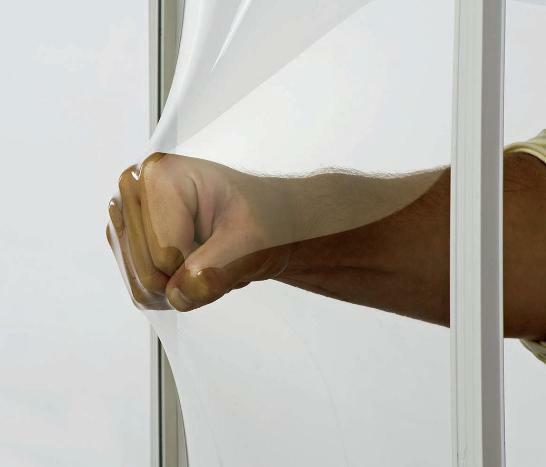 The 10-mil vinyl glazing is as transparent as glass without the cost or the weight. 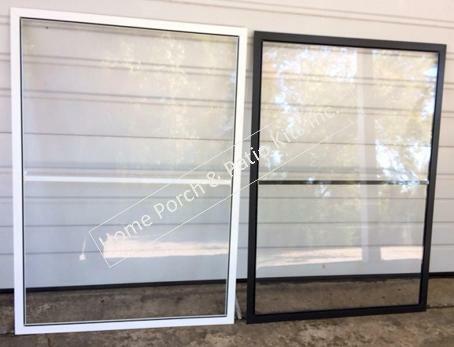 These vinyl window inserts are used in homes from Florida to the frigid climates of North Dakota and up into Canada and come with a lifetime warranty on frames and 10-year warranty on the vinyl itself.